Sunlight Supply-Titan Titan Controls Mercury 2 Fan Speed Controller (702753) SEEDS ETC. 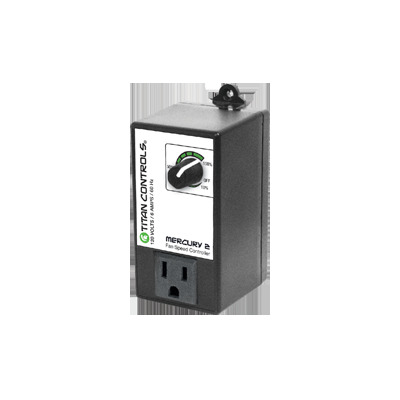 The Mercury 2 is a fully adjustable fan speed controller used to ventilate your garden. The innovative 'fire-up' feature provides full power for your fan upon start up and then slows to the desired fan speed setting on the dial. This extends the life of the fan by properly controlling the electrical load. The Mercury 2 is ETL listed for use in commercial settings. One dial operation makes it easy to use. Gardening with the gods, what could be better. Titan Controls! Adjusts fan speed from 10% - 100%. "Fire-up" feature provides full power upon start-up and then drops to desired setting on dial.